Manufacturing, Trading and Exporter of a wide range of Electrical Power Press and Component. 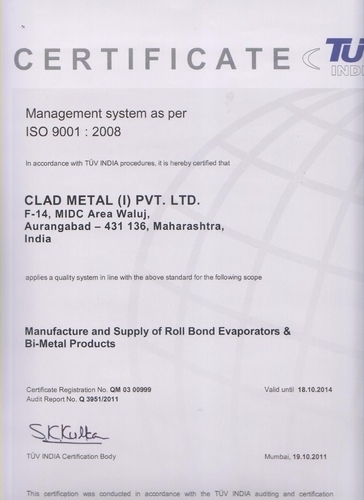 Established in the year 2004, we “Clad Metal India Pvt. Ltd.”, have been consistent in establishing a name for ourselves in the markets pertaining to manufacturing, supplying, exporting and trading a wide range of Electrical Power Press and Component. 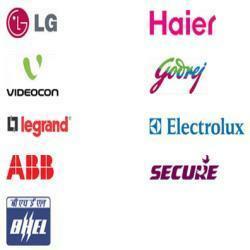 We offer an extensive array of these products that have been made as per the predefined standards of the industry. The weights are used in a wide variety of application pertaining to manufacturing of cooling electronics such as refrigerators, coolers, air conditioners and much more. In our offered array of products, we have Copper And Aluminum Connectors, Filter Dryers, Electrical Concealed Boxes, Metal Flush Boxes, Aluminum Copper Strips, Electrical Press Parts, Air Condition Press Part and Refrigeration Press Parts. Each of the range has been made of quality metal and given a perfect finish along with compliance to the standard sizes. In addition to this range we are also offering to the customers this range of Wire Shelves, Industrial Strainers, Refrigerator Bottom Panels, Flush Boxes, Refrigerator Front Panels, Refrigerator Base Plates and Freezer Box Covers. Having a quality-centric approach, our organization has made all its products conforming to the standards of Organization Internationale de Metrologie Legale International Recommendation (OIML R- 111), our BLS OIML precision weights are appreciated for their features. Under the ambitious guidance of our mentor Mr. Ashok Kale, we have been able to gather and consolidate a wide and appreciative client base around the world. His ability of motivation and market understanding have led the company to greater heights of success. Our mentor has been the working force of the organization. We have believed in complete form of excellence, that indirectly offers quality. Our organization, Kale Group takes continual efforts in achieving the benchmarks in quality standards defined by the customers. We are honoured with awards for a great deed of honorable and prestigious works. These awards provide us for using supreme quality raw material by us in compliance with the set industrial norms and standards of quality. Backed by a strong and efficient team, we have been able to take our industrial process to a greater and new level. This team comprises of excellent and skilled technocrats, fabricators, skilled workforces and administration. Each team is a group of professionals and experts who are well versed in the process. For each department a segregated team has been developed. We give emphasis on all the necessary facilities that are very much in requirement for a completely qualitative process. Also in order to keep the team abreast of their industrial counterparts, we provide them with regularized training sessions. All our policies are centered towards attaining the appreciation of the client, therefore all our products have been made as per the predefined standards of the industry. In order to make the range acceptable in terms of providing dimensional accuracy and sturdy performance along, we have been able to provide to our customers a wide range of these products. Our firm has been widely engaged in the process of manufacturing and supplying a wide range of best quality products and this product range has been in wide demand by our industrial patrons. We have been regarded as a compatible and recognized firm whose products are safe and reliable in terms of effective performance. This has been possible due to the ethics of the business that we have been following.